Selling with Shopify is so easy! You can set up an online store and start selling in a snap of a finger. However, the real problem lies in having a sustainable growth for your business. To have sustainable growth, you need to have a lasting source of quality traffic for your Shopify store. You may be relying on social media or influencers marketing or paid advertisements for the traffic, but none of these will work if you stop putting money and effort. That’s why you need organic traffic. In my last post, I discussed the reasons your Shopify store is not showing up on Google and how to fix it. In this article, I will talk about eight tools you must use to pull off SEO for your Shopify store. Note: Before you start doing anything about your store’s SEO, you need a domain name where you can host your Shopify store. The domain name is the unique identifier for your shop. Once your Shopify store is live on a domain, the first thing you need to do is to create a Google webmaster account to verify and submit your Shopify store. Then submit your Shopify store’s sitemap in the sitemap section. You will find your sitemap at https://yourstoredomain/sitemap.xml . When you do this, Google get to know that there’s a new kid in the block and it starts crawling your store’s pages and then starts indexing your store URLs. i) Check if Google is unable to crawl any pages and if there is any 404 error for your Shopify store which you should take care of. ii) How many pages and images are indexed. iii) All your search data which includes, what are keywords for which your pages are ranking, landing pages, impression, CTR, clicks and more. iv) When you create a new page, you can submit the page to Google and request to index. While Google Webmaster is for Google search, Bing Webmaster is mainly for the Bing and Yahoo search. Submit your site and the sitemap in Bing to make sure that you don’t miss the traffic opportunities from the Bing and Yahoo searches. Researching and picking up the right keywords to target is the trickiest part of an SEO strategy. If you try to optimize one page for many keywords, you are very less likely to succeed. Instead, try picking up one primary keyword (preferably a long tail keyword) and few secondary keywords to target for each of your pages. Optimize for the primary keyword while keeping in mind the secondary keywords as well. This is one of my favorite tool to research keywords. With this tool, you can research keywords for not only Google search but also for the keywords people are using in Bing, Amazon, eBay and more. Though this is a paid tool, with it’s Pro plans you can have a lot more insight like the search volume data, Adwords competition, competitor keyword analysis and more. When you have picked up your primary keyword, you should also have a list of LSI keywords to use as secondary keywords in your content or meta tags as Google is now looking at total context rather than keyword density. This means your page will rank higher for your main keyword because Google better understands the context of your page. Now once you have the keywords ready, it’s time to optimize your Shopify store and it’s pages. Here are some must-have tools to optimize your store. 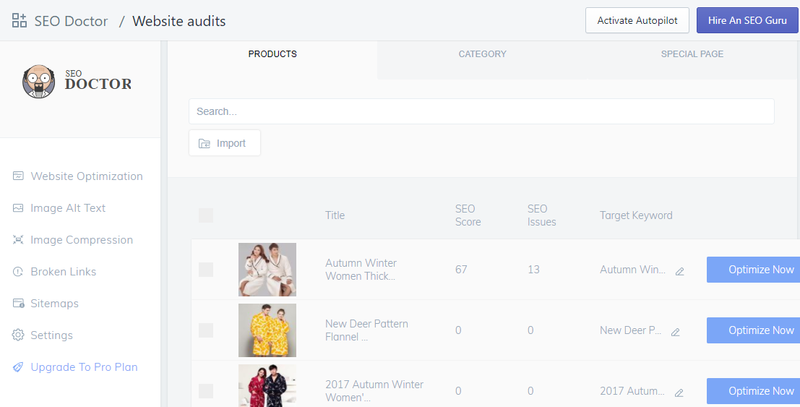 Kudobuzz SEO is another great Shopify app from our own Kudobuzz team. This app helps you to manage literally all on-page SEO related optimizations. i) Manage Titles, Meta descriptions of all your Collection pages, Product pages and all other pages inside one dashboard. ii) Fix broken links with redirections. You can even automate this so that every time a link is broken, it creates a redirect to another URL as per your settings. iii) It helps you to speed up your Shopify store by compressing the images on your store. iv) You can also manage ALT texts for all your images in one place. Cost: It’s Do it yourself plan starts from $14.99. You can also hire SEO gurus to work on your store for additional costs. AMP or Accelerated Mobile Page is basically a stripped down format specified by Google for your website to display on mobile devices. If you follow the specific format Google will give your pages higher priority than the non-AMP pages of your competitor’s pages. 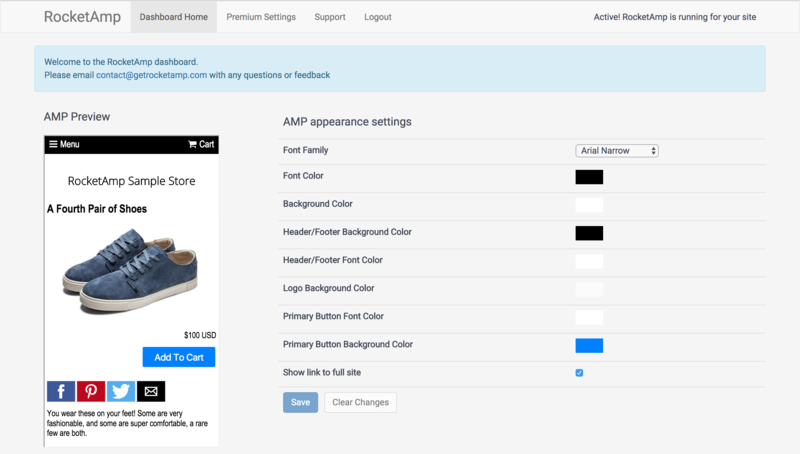 Have you set up AMP pages for your store? If not then you must consider using this Shopify app. It will help you to create and design an AMP version of your store. Cost: Plan starts at $14.00/month. When we talk about e-commerce SEO, user generated reviews and ratings have a huge impact on it. Google loves user generated content and gives priority to pages with UGC. Ratings also play a crucial role in search results. However, only having a user rating and review system will not help until it’s displayed on your product pages with right meta tags with it so that Google can identify it. 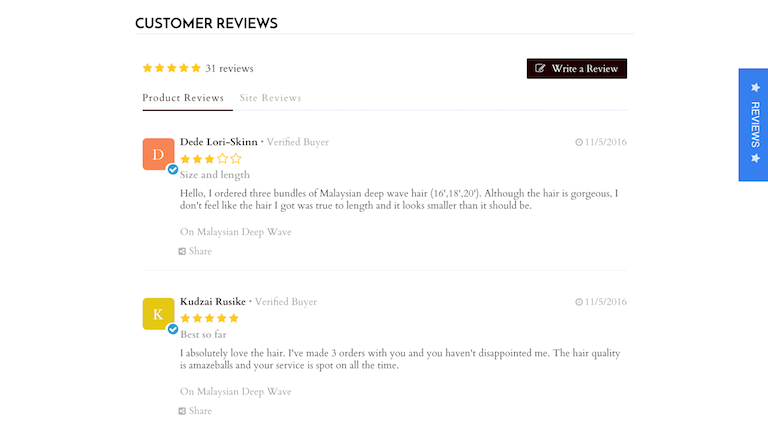 Kudobuzz is the most versatile and SEO friendly Shopify review app out there. It helps you to collect reviews from users on various channels and displays on your store in an SEO friendly structure. Though Google Merchant center is a paid service, it’s a great way to compensate your SEO efforts with paid ads. You can upload your product feed in the merchant center and set up with all the info Google need to display. 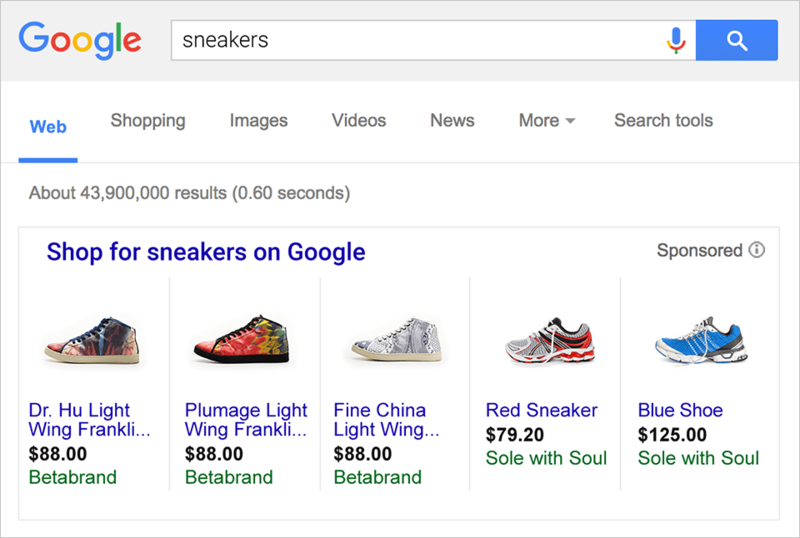 Then you can run product ads from your Adwords account to display on Google search as shown below. Cost: Using merchant centre is free but to run ads you need to pay.